Lymestone Brewery, Brown and Green on tour..
We were lucky enough to be invited to a tour of the Lymestone Brewery in Stone last night and boy was it was something special. 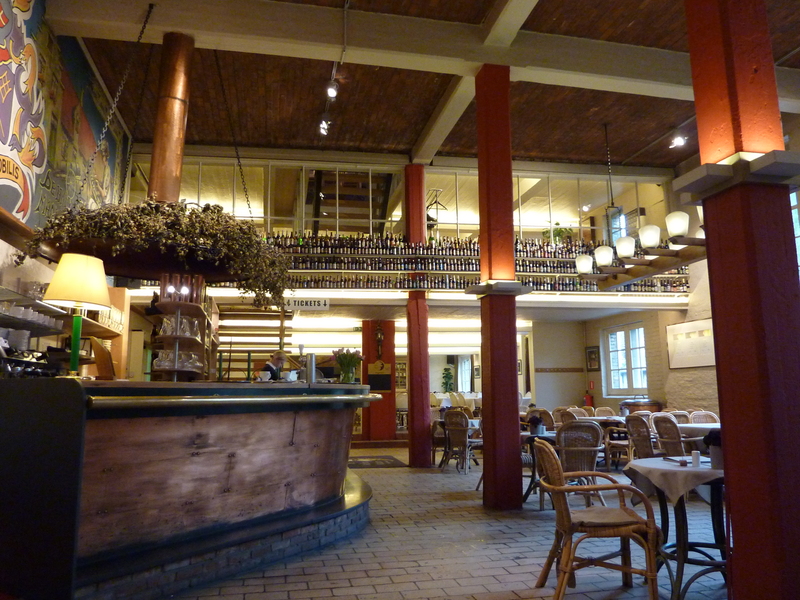 Why you may ask, if you’ve seen one micro brewery you’ve seen them all? Well it was all about the P’s, no not the Bees although they do feature, I’m talking about Pride, Passion and People. The event was organised by the owners of local artisan food delicatessen, Brown & Green and by invitation I think totally through Twitter. Open though to anyone following them and who enjoys and embraces what they are trying to do. (Susie may put me right on that). To tell you the little I learned on the journey to Lymeston, Brown and Green started as an add on to an existing Strawberry farm in Gloucester. Owners Susie and Euan wanted a small outlet in which to sell their produce, also to support other local producers in the immediate area. A small area was leased in a local garden centre and was very successful. From then they were encouraged to take a leap of faith and open another much larger store of their own on the Trentham Gardens estate, which then expanded to yet one more in the Derby area. All operating with the same ethos, of getting fantastic local produce available in one place. Enter Lymestone Brewery as a producer of local ethical ales..
Ian (Brad) Bradford is a brewer and he loves it, you can tell by watching him and listening to him speak. He was head brewer at another local brewery Titanic for some 18 years before he too took the leap of faith and decided along with wife Viv that he wanted a brewery of his own, where he made the decisions and succeeded or failed by them. So in July 2008 Lymestone Brewery was born. On arrival at the brewery we were met enthusiastically by Brad and Viv and urged quickly to go straight into the bar room where three beers were on tap for us to try, Stone Faced, Stone Cutter and Lymestone Cowboy which was my personal favourite on the night. No service here (no complaints either), it was “there’s your glasses”, “there’s the pumps”, “get stuck in”!! Now for anyone who has ever beer to an event where Twitter has played a major part, it was one of those awfully embarrassing periods in the beginning, where you realise that “I know that person”, but arrghhh I only know their Twitter name so you have to introduce yourself as @filrd etc as you are mingling. 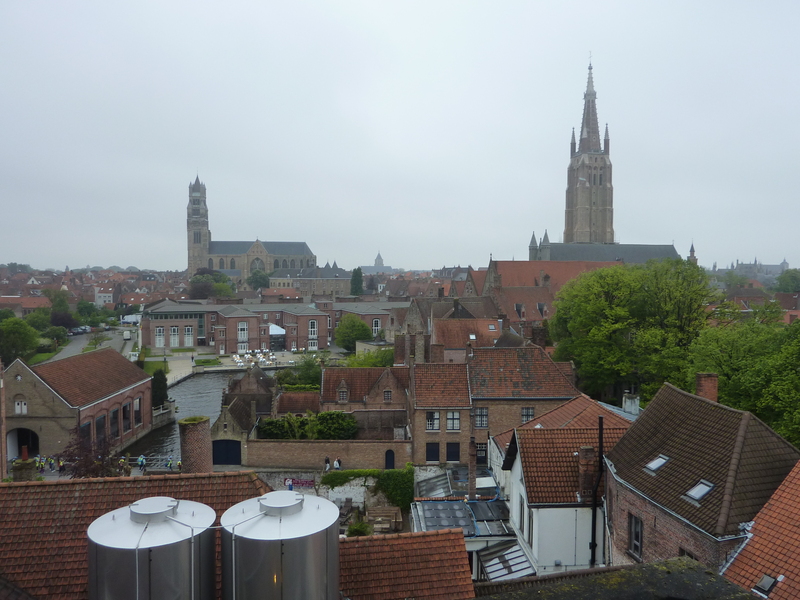 The beer helped particularly well at this stage…. 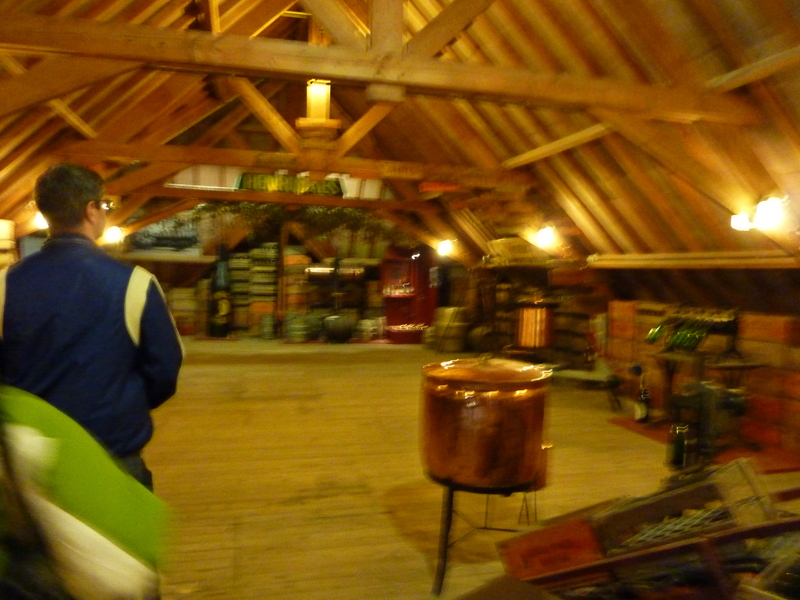 First drink sorted, pleasantries exchanged and the evening began in earnest where sat in the cavernous brewhouse Euan was bravely nominated by Susie, to thank us for attending and tell us a little about who they were, what they are doing and their hopes for the future. He also explained how people like Brad & Viv and even the folks in attendance all play a significant part in them realising their dream for Brown and Green. 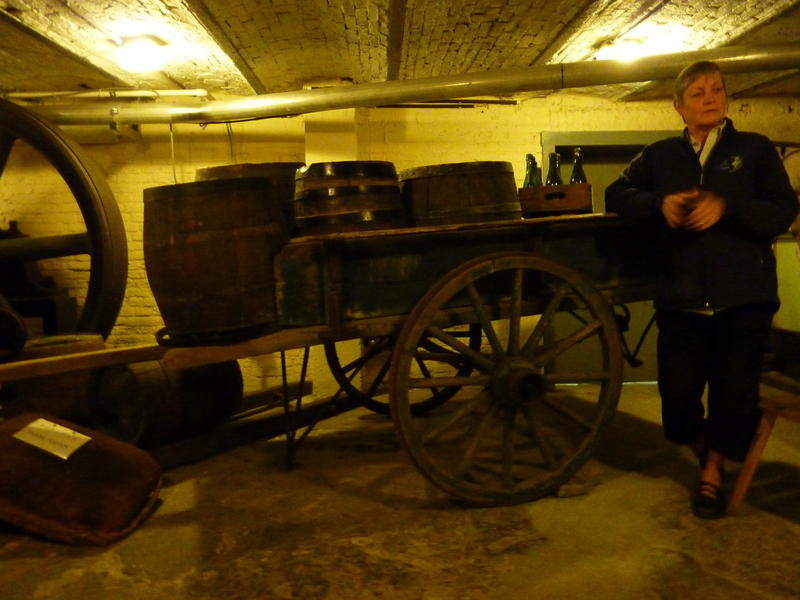 Second session was in the brewing room, where as you’d expect it was explained how everything works, timings, volumes etc. I won’t witter on about this too much except to say that you really should visit yourself to experience it, great people, loads of knowledge delivered in a fun and enjoyable style. Tour over, questions asked but that wasn’t the end, next was another top up of course and then foodie heaven, a buffet of fantastic local foodie treats from Brown and Green had been laid on for us all . Uber tasty morsels including Shropshire Blue and Aged Red Lecester cheeses, firecracker and venison salami, Hand made pork and chicken pies, scotch eggs, the biggest and the biggest, tastiest hand made sausage rolls you’ve ever seen to name but a few..
As you can probably imagine a good night was had by all and sadly long after our transport was due we said farewell to Lymestone. Just to close, taking aside the generosity and hospitality of our hosts that is clearly evident and going back to the P’s, It was a real privilege and a true pleasure to spend a particularly pleasant evening with people positively passionate about their products..
Stone Brood 4.4% ABV Up on the roof of the Lymestone Brewery, the Lymestone bees have been busy making the sweetest honey from local fields and gardens. Literally stung into action, Brad the Brewer has created this rich, dark beer from the Lymestone bees honey and the finest chocolate malt. Velvety chocolate gives way to a balanced bittersweet finish. Easy drinking and very moreish. It’s been a bit of a lean time around old Burslem town recently in terms of me coming across anything new that really stood out beer wise. Yes there’s been the ever reliable favourites Oakham Citra, Thornbridge Jaipur, Kipling and of course Burslems own Titanic Brewery range. We’ve also had some really big heavyweights, with Coastal Brewery’s Erosion and Titanic Wreckage hitting the spot, but with both coming in at around the 8%ABV they are late night finishers generally rather than great session beers. 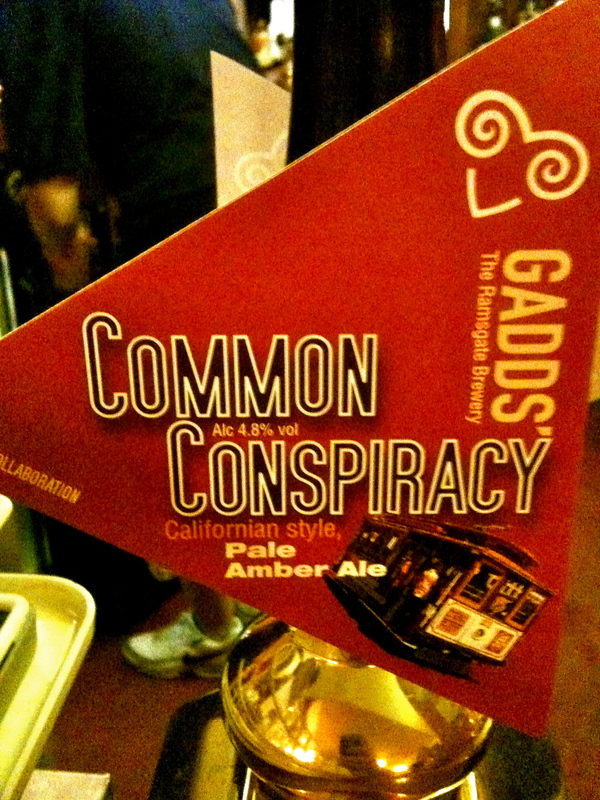 This changed last night when I sampled a new guest beer in The Bulls Head for the first time, it was Gadds or Ramsgate Brewery’s Common Conspiracy. It’s described as a Californian style Pale Amber Ale at 4.8%ABV, further reading the morning after revealed that it is based upon a California Common Ale, something I have to confess I’ve not heard of before. If you want to read more about it, check out Ramsgate’s Head Brewer Eddie Gadds brewblog, where he explains the styles origin and how he recreated it here in the UK, by following this link. 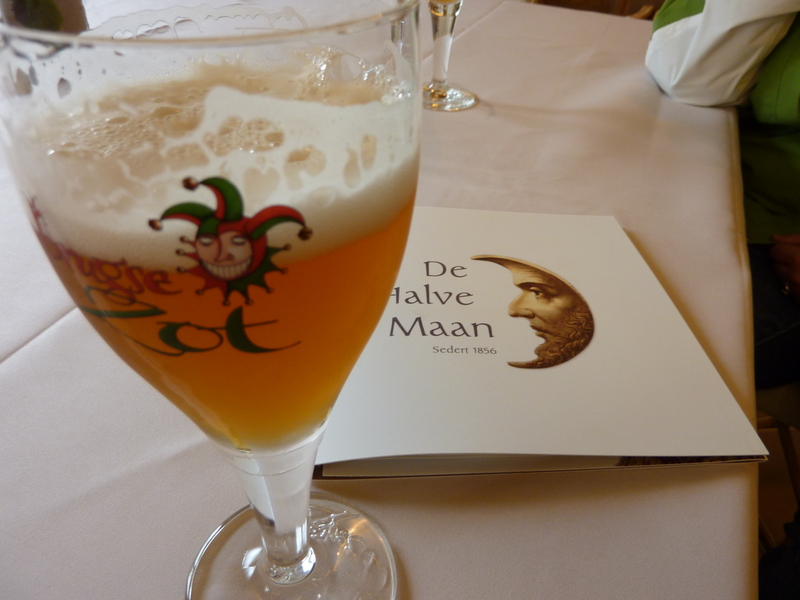 The beer itself is amberish in colour and has a creamy foam head that lasts long into the pint. It has an aroma of malty caramel with light tropical fruit lingering in the background. The taste though sees a role reversal with the fruit in much more dominance, with sweet tropical fruit and tangerine, less of the caramel without losing it completely and gentle hops in the finish. This is a really easy drinking beer with lots of flavour, I liked it so much that I had a night off from my normal flit around the guest section and stuck to this all night. That to me speaks volumes..
I’m popping back tonight in hope that there’s some left, if you’re in the area The Bulls Head is in the centre of town at 14 St Johns Square, Burslem, Stoke On Trent, ST6 3AJ. For those less fortunate Gadds beers are available on the web via Ales By Mail, I’m not sure Common Conspiracy was bottled but at this standard there’s surely more worth trying. 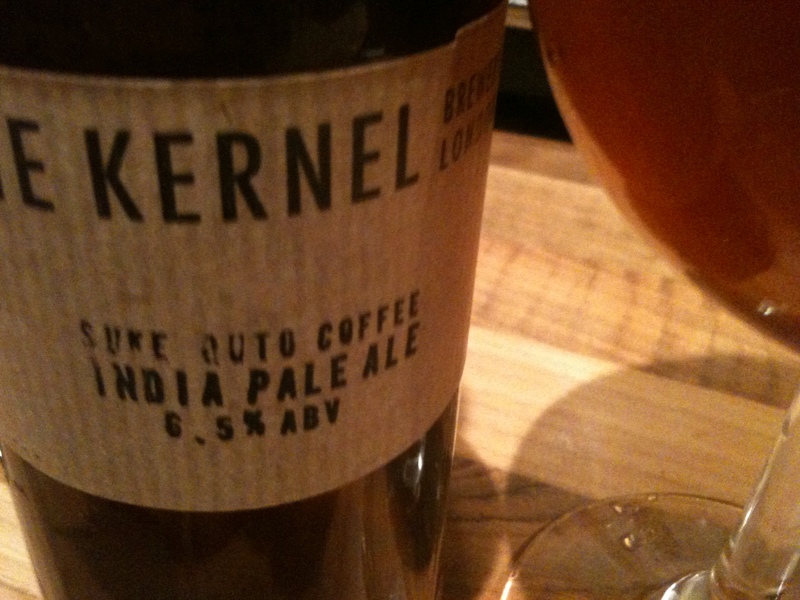 There has been a certain buzz about “The Kernel” for a while around the beer and beer blogging world, Tweets on Twitter, Facebookers posts etc, all singing the praises of a small craft brewery based somewhere in the arches of South East London. 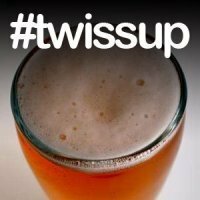 So, before I go on to talk about the wonderful beer (as you can tell, I liked it), take a look at this short video, it’s short and simple but still manages to give you a clear insight into a true craft brewery. The love care and attention to detail involved in getting something special in your glass, even down to the hand stamped and placed labelling, in short someone passionate about what they produce. The name Suke Quto Coffee IPA, is based a on coffee cooperative hailing from the Ethiopian district of Oromia, this beer being born out of a collaboration between The Kernel Brewery and Square Mile Coffee Roasters. As a concept, coffee in an IPA is an interesting one and not something that I have come across personally before, coffee and beer together I’d normally expect being associated with stouts and porters. Nevertheless something about this idea intrigued me enough to choose this to be my first experience of ever tasting a Kernel beer.. Appearance wise, first off I love the bottle branding, it’s simple and instantly recognisable, I love it more after seeing how it is hand produced bottle by bottle.. When pouring the beer you get the first smell of the lovely hops to come, I personally did not get any real sense of coffee here although others before me have, in the glass it is a hazy orange brown with a lazy bubbling head. Taking another good sniff the result again is all hops for me, like brushing past fresh nettles, a lovely spicy herb smell. Tasting brings more surprises as the subtle coffee notes sneak up on you in three distinct stages.. The first mouthful, hmmm nice quality IPA as you’d expect but where’s the coffee, quick swirl around the mouth, oh there it is understated with hops battling for attention, then swallow and WHOOSH, you get the big roasted bitter coffee finish with length that leaves you with an aftertaste of expresso and spicy hops long after you’ve finished drinking. 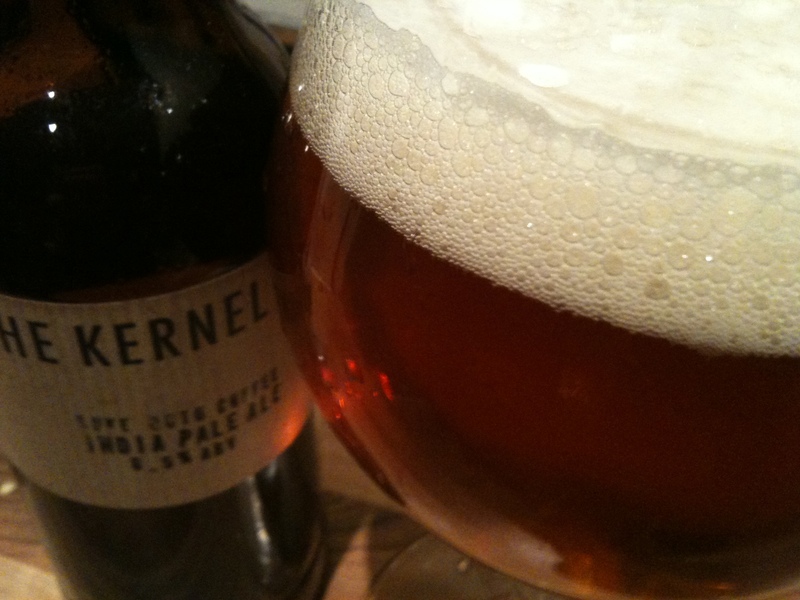 Finally, I sourced the Kernel beers from Beer Merchants (who also have Facebook and Twitter pages), they are also available at the brewery on Saturdays and at the variuos outlets here.